It seems like there is no rest of the weary. And, the weary person is usually mom. Moms take care of hearth and home, but who takes care of her? 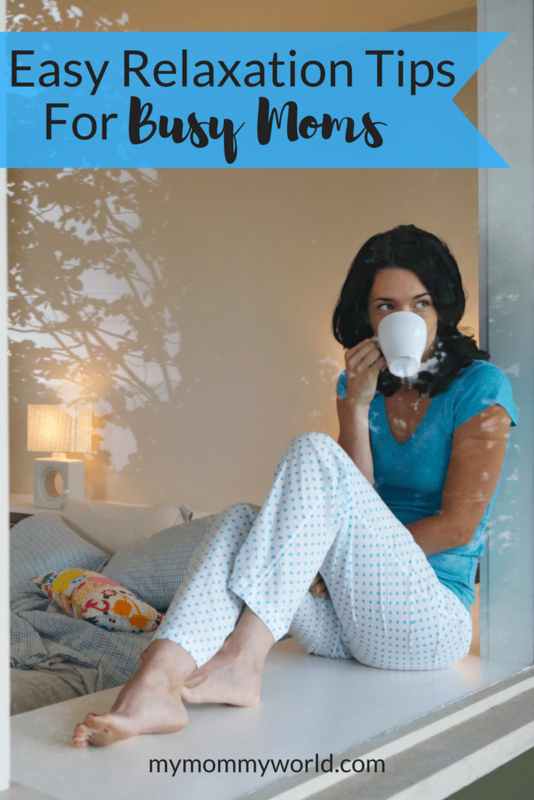 If you are a busy mom, learn to value yourself as a person and schedule personal time, using these easy relaxation tips. Each of us has the capacity to nurture others but that type of care takes its toll. Sally Clarkson always says that moms cannot pour out of themselves to nurture their families unless they have a store from which to pour. Think of it this way…a car is filled with gas to make it run. Eventually the gas runs out and your car won’t move unless the car is replenished with fuel. The same goes for you. Emotional issues can develop when you don’t take the time to take care of your emotional well-being, not to mention the physical results of emotional neglect. Mom time refuels the tank so that you can give to your family as well as yourself in equal measure. Don’t be ashamed to sit for fifteen minutes doing nothing. In the springtime, relaxing in a hammock under a tree or on your deck is the perfect getaway from the pressures of the day. Reading a book for 30 minutes can also seem like heaven to many moms. 1. Get up before your kids. When you have kids, the day begins at a hurried pace. Once you hit the ground running, there is no stopping you. Waking 30 minutes to an hour ahead of time means quiet solitude to drink your coffee, read a book, pray or listen to music. Need help rearranging your morning so that you can fit this in? This course was super helpful for me. How interesting! Do you have one of those treadmills with a desk attachment? I’ve always wanted to try one…. I usually relax by doing some crafting while I’m watching tv or sitting with the family. It’s usually a knitting or crocheting project. In the spring and summer, I relax by going out to do some gardening. This is such great advice, it is so easy, yet makes so much sense. I especially agree with getting up early. On the days I get up before the kids, I find that I am not as stressed when they get up, because my day is already started and not just beginning. The exercise breaks are good too, I am luck to have a gym in the same plaza as my work so I use my hour lunch time for 45 minutes at the gym and 10 minutes to eat my lunch. I plug in my mp3 player and read a book too – all me time. Wow, it sounds like you are really being intentional to get that relaxation time in…good for you!